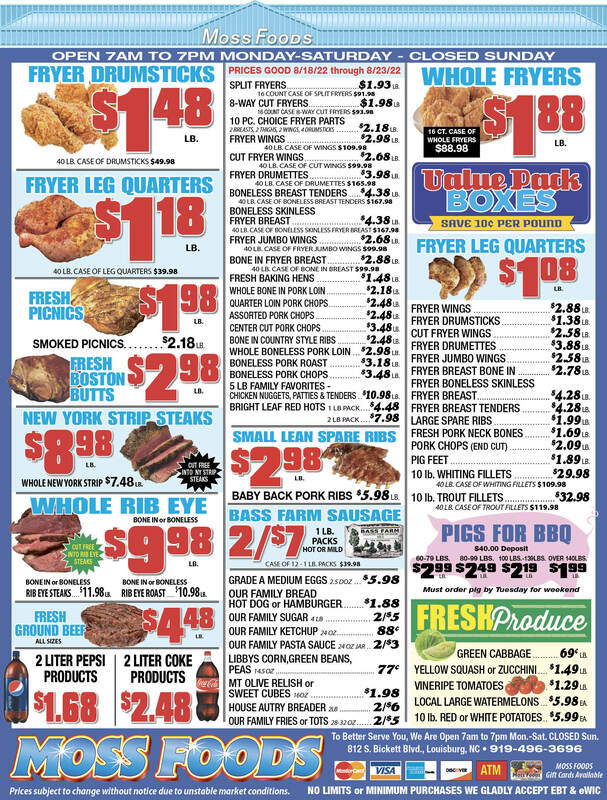 Showing 39 articles from March 12, 2013. A retired educator was chosen by the Franklin County Board of Education Monday night to fill a vacant seat on the board. 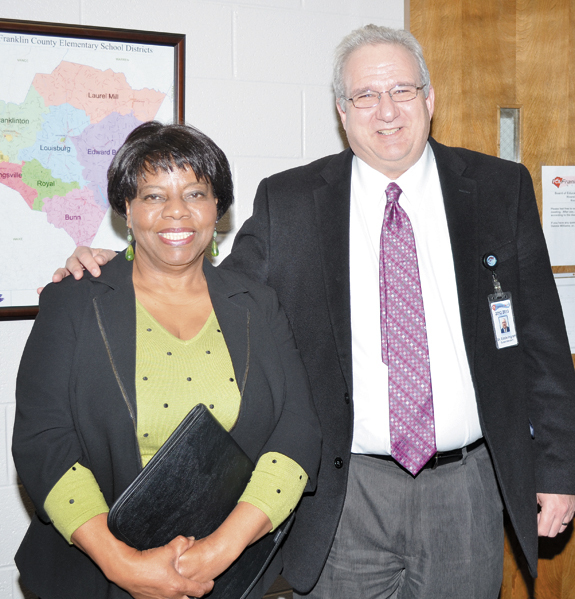 Elizabeth Keith, who retired as an administrator in the local school system last October, was chosen by the board to fill the District 3 vacancy created when Bobbie Richardson resigned to accept a nomination to the North Carolina House of Representatives. Later this month, Franklin County commissioners will be presented with a proposed budget from the county school system that requests an increase of $1,519,673 in local current expense funding. At current valuations, that would amount to between 3.8 and 4 cents on the property tax. The total local expense request for the 2013-14 school year is $16,092,469. Two local agencies have joined forces to help dispose of medications in a safe, secure manner. The Franklin County Sheriff’s Office and the Franklin County Soil and Water Conservation office will give the public another opportunity to prevent accidental poisonings, abuse and theft by ridding their homes of potentially dangerous expired, unused, and unwanted prescription drugs through Operation Medicine Drop this Saturday. Jean Hinnant: A coach — and so much more! BUNN — Jean Hinnant didn’t throw like a girl. But she coached like a lady. The trailblazing coach and educator at Bunn High School passed away this week. 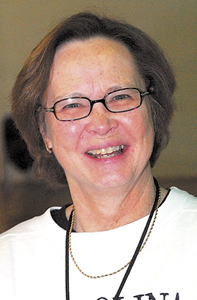 “She was an all-around good person,” said Wilma Tharrington, who played basketball for Hinnant’s teams in the 1950s and joined her as an assistant coach later on. Could petty politics be behind the grant story? 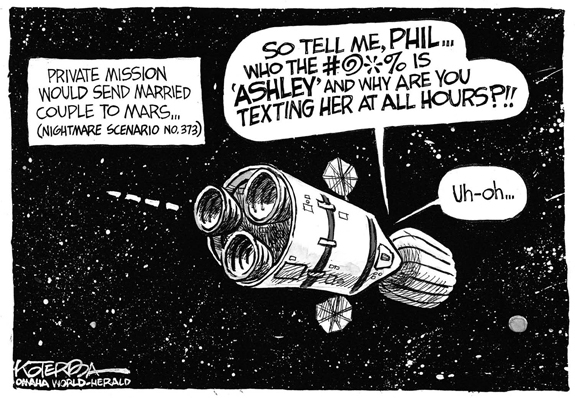 GOOD MORNING: You know, I can’t help but wonder what’s the real story behind the story! Despite all its talk about becoming more business and industry friendly, Louisburg town leaders decided not to help the town’s newest industry, Palziv, with its expansion plans. That despite the fact that the town apparently had a grant they could have used as a loan to help Palziv refurbish that terrible-looking old water tank that, oddly enough, has a big logo of the town of Louisburg showing through the rust on its side. I read recently where the Wake County Board of Commissioners is considering an overhaul to its 911 radio and emergency dispatch systems. And by that, I mean, make sure you look at Franklin County. Upfitting or overhauling an emergency radio system should not be like inventing the wheel. Weren’t those all things we learned about in elementary school? Yet, if you’ve followed local government in recent years, you know these concepts have been as difficult to find as hens’ teeth. Is property tax rate the problem? After reading the “In our opinion” in the March 6 edition, “Here’s your chance to speak your mind,” I just had to respond. First I commend the author for encouraging the citizens of Franklin County to come out and speak to their representatives when they come to visit. Citizens should also come to county commissioner meetings. YOUNGSVILLE—Funeral services for George “Joe” Johnson, 91, who died Thursday, March 7, 2013, will be held at 11 a.m. Thursday, March 14, at Allen Chapel Baptist Church, with the Rev. Stanley Dunston officiating. Burial will follow in Evergreen Cemetery. FRANKLINTON—Funeral services for Joe Alston, 89, who died Sunday, March 10, 2013, will be held at 3 p.m. Sunday, March 17, at Richardson Funeral Home in Louisburg, with the Rev. Samuel Tunstall officiating. Burial will follow in the Union Grove Church cemetery. YOUNGSVILLE —Charles S. Shreve Jr. died Sunday, March 10, 2013. City of Oaks Cremation, Raleigh. ZEBULON - Jean Beddingfield Hinnant, 82, of Zebulon, died March 10, 2013. 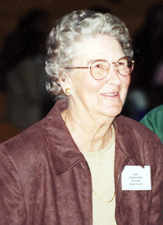 She was the daughter of the late Ivon William Beddingfield and Thelma Alford Beddingfield. Jean was preceded in death by her husband of 31 years, Thaddeus Edgar Hinnant, Jr. She was also preceded in death by her brother, Clarence Beddingfield. LOUISBURG - George Davis Foster, 93, went to his heavenly home early Saturday morning. He was the seventh of eight children and the last surviving child of Wade Hampton Foster Sr. and Pattie Lou Gilliam Foster. He was a lifelong farmer, who loved the outdoors, his family and his neighbors. TWO MORE FOR TAINASHA. Bunn’s Tainasha Vines drives for two points during the Ladycats’ regional playoff setback last Friday night against Kinston. 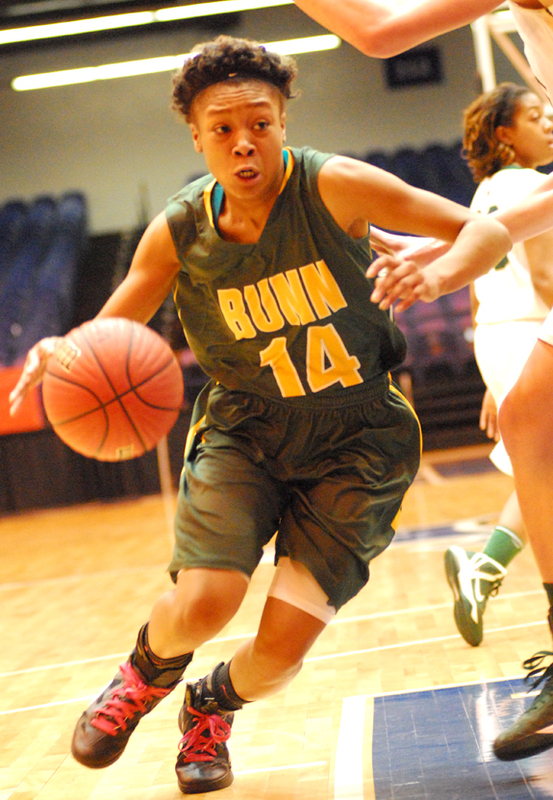 FAYETTEVILLE -- The cruel winds of Fayetteville once again blew in heartbreak for the Bunn High School girls basketball team. On the same floor. Against the same opponent. And in the same round. 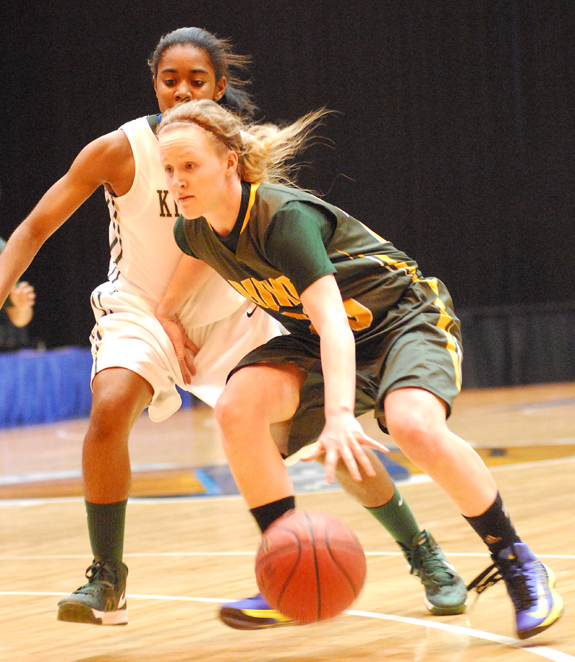 It doesn’t get more agonizing than that for a club that was bent on avenging its last-second loss to Kinston in the 2012 Class 2-A East Regional Semifinals at the Crown Arena. MIGHTY JOE. Louisburg College’s Joe Goodwin scores on a layup for the Hurricanes during last Saturday’s victory over Catawba Valley CC at the Region X Men’s Basketball Tournament in Hickory. 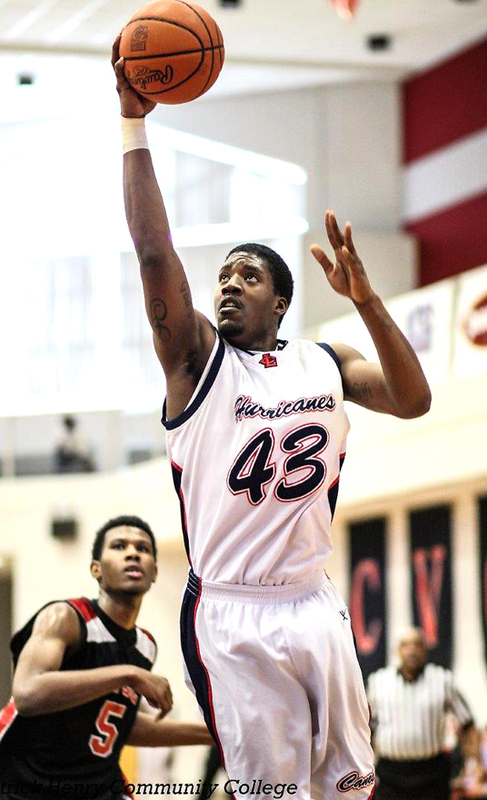 LOUISBURG -- Winning the Region X Men’s Basketball Tournament Championship is becoming a regular end-of-season scenario for the Louisburg College Hurricanes. LC head coach Mark Vanderslice knows no other way, as each of his three campaigns on campus have featured a tournament crown. THE DEFENDERS OF THE THRONE. 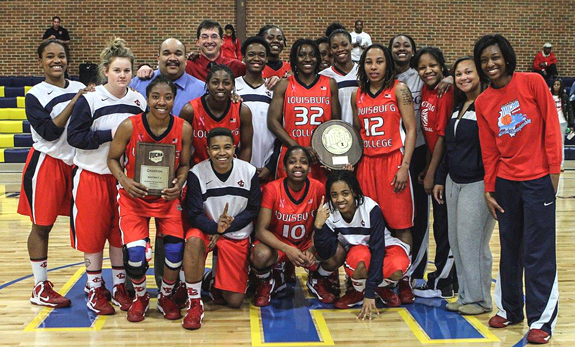 Members of the Louisburg College women’s basketball squad pose after winning the Region X Tournament. LOUISBURG -- Even though they have been defeated only three times this season, the Louisburg College Lady Hurricanes felt like they had something to prove heading into the Region X Women’s Basketball Tournament. Of course, the Lady Canes have owned this tourney historically, and they entered play last weekend in Martinsville, Va., as the defending champions. BUNN -- ‘The Boot’ will soon be getting his kicks for the University of North Carolina Tar Heels. Bunn High School junior Freeman Jones, known as ‘The Boot’ for his placekicking prowess, has verbally committed to join the football the program at UNC-Chapel Hill. The commitment is non-binding, but Jones expects to make things official with UNC during the National Signing Day in February of 2013. A CLOSE ONE. 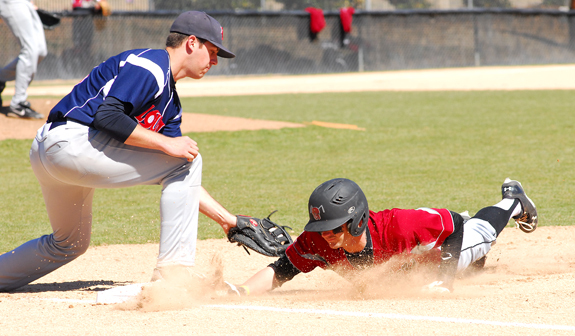 Louisburg College first baseman Bradley Morton (left) tries to pick off a USC-Sumter baserunner during last weekend’s Region X baseball action at Frazier Field. 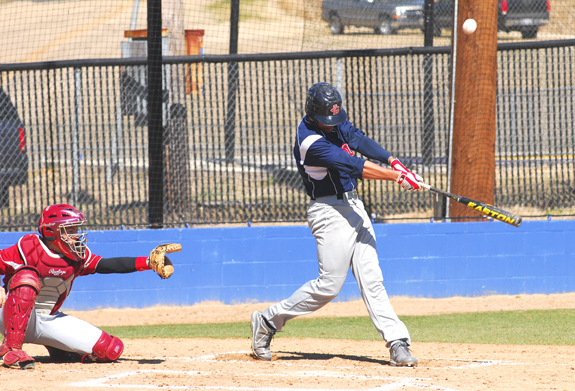 LOUISBURG -- During the early portion of the season, Louisburg College first-year baseball coach Keith Shumate has kept one eye on the things his team is doing well -- and the other on some deficiencies that need to be improved upon. Shumate found both of those aspects to be evident during last weekend’s Region X series opener at home against the University of South Carolina-Sumter. MANY RETURNS. Bunn High School’s Sam Griffin prepares for a forehand return during his singles match as part of Monday’s team tennis event versus Southern Nash. 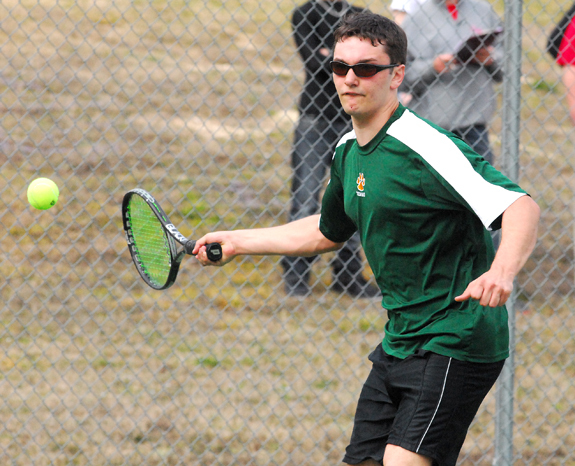 FRANKLIN COUNTY -- Things are looking up this season for the Bunn Wildcats in Northern Carolina Conference boys tennis action. The Wildcats are 2-1 in the NCC, including victories against Warren County and North Johnston. 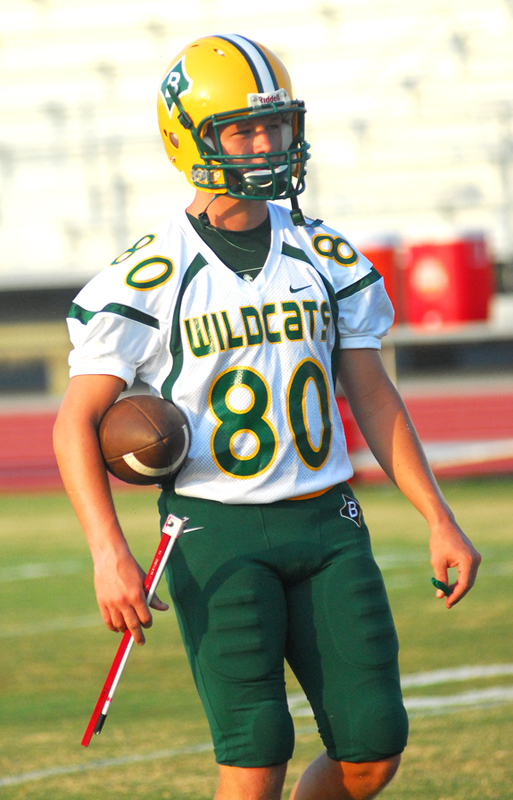 And Bunn is 3-2 overall, though the Wildcats ran into a strong opponent Monday in the former of non-league foe Southern Nash. GREENVILLE -- Redshirt freshman David Lucroy struck out a career-high 12 batters en route to a complete game, two-hit shutout helping East Carolina University to a 4-0 baseball series win over Monmouth Sunday afternoon at Lewis Field inside Clark-LeClair Stadium. With the win, the Pirates improve to 9-5 on the season, while the Hawks drop to 3-7. Whitney Bunn (right) played her final game last Friday for the Bunn Ladycats as they were edged at the regional tournament by Kinston HS. Louisburg College’s A.J. Farris lifts a foul ball as part of diamond action last weekend vs. USC-Sumter. 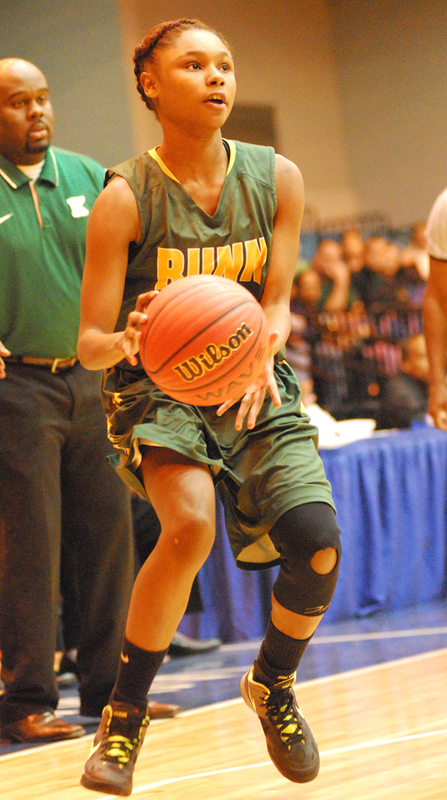 Senior Keella Gallatin enjoyed a strong season for the Bunn Ladycats’ hoops squad. 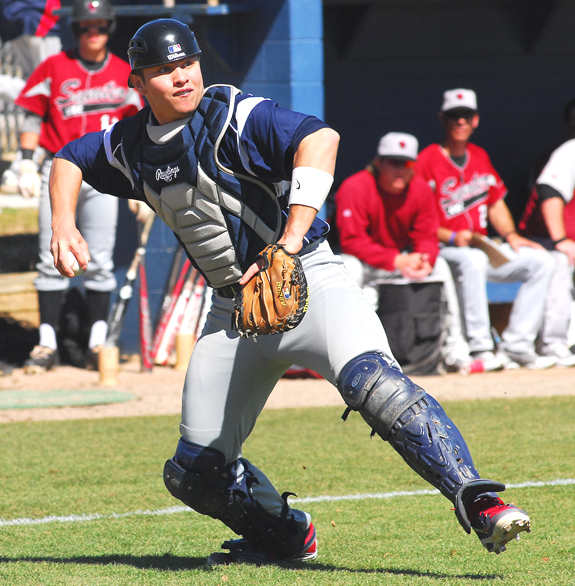 Louisburg College catcher Pete Guy makes a play during last Saturday’s home win over Sumter. Sam Griffin is serving as the No. 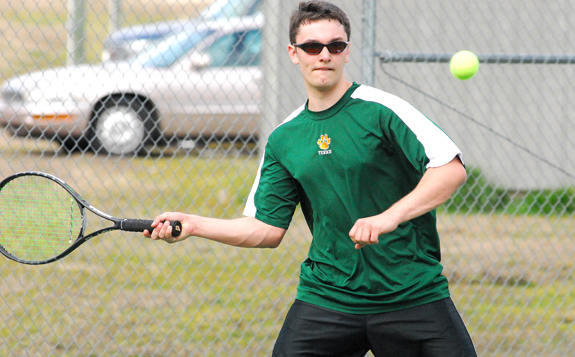 1 Singles player this season for the Bunn Wildcats, who are currently 2-1 in the Northern Carolina Conference. Bunn stepped out of league play Monday and was defeated by a 9-0 team score against the Southern Nash Firebirds. We all know about the importance of keeping the arts alive in the schools and in our communities. But very often we need to be reminded of how essential arts are to the basic education of our children. To begin with, arts can be very broad, since they are a language of emotions, often depicting someone’s moods and feelings. The Louisburg High School band has announced its spring concert series. “We want our local residents to be aware of every performance of the band”, said Brian Miller, an 18-year veteran band teacher. “In the creation of a ‘Concert Series,’ these performances can be better publicized,” he said. All times are 7:30 p.m. at the Louisburg High School auditorium on Allen Lane unless otherwise noted. 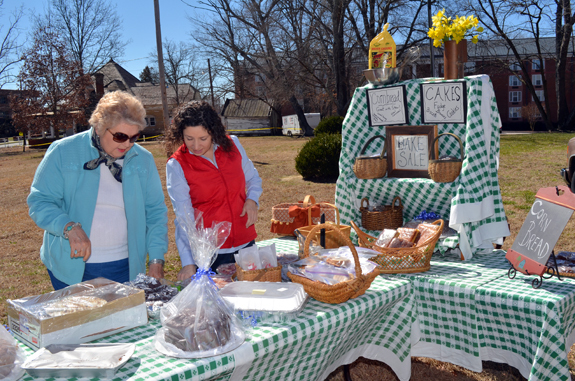 A bake sale and a Brunswick stew sale were part of a fund-raising effort held last weekend to benefit Person Place, the historic home on the campus of Louisburg College. Shown here getting ready are volunteers Jane Rose (left) and Erin Waugh. The event is an annual one that helps maintain the Person Place home. Coming up April 27 and 28 will be the semi-annual historic homes tour that also benefits Person Place. The application of pesticides can be beneficial to plants and lawns, as it can eliminate and prevent the harm that can be caused from unwanted pests and diseases. However, the toxic nature of these chemicals can be harmful to animals and humans alike, and in some cases it can be fatal. Authorities arrested a Youngsville man three weeks after he eluded capture by running across U.S. 1. According to a report by Youngsville Police Lt. M. Little, he was at the Sheetz on U.S. 1 during the early morning hours of Feb. 21 when he saw a man, later identified as Glenn Hill, go inside the store. Once inside, according to the report, Hill was behind another customer when officers allege he began stuffing gloves and candy into his coat pocket — leaving the store without paying for the goods. 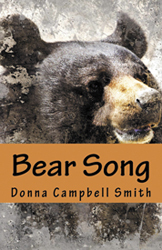 Franklin County author Donna Campbell Smith, will be launching her latest middle grade historical fiction novel, Bear Song, with a reading and book signing at Pick A Class, 502 S White Street, Wake Forest on March 16 from 10 a.m. until noon. Refreshments will be served. Bear Song picks up the story of the Lost Colony of Roanoke Island after the English are given refuge by Indians who live in seclusion near a pocosin lake on the mainland. Franklin County has been chosen to receive $16,624 to supplement emergency food and shelter programs in the county. The selection was made by a national board that is chaired by the U.S. Department of Homeland Security’s Federal Emergency Management Agency. 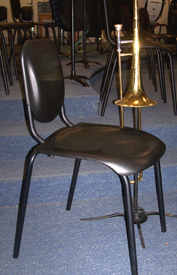 The Louisburg High School band is planning to buy new chairs that will put band members in the best position possible. To do so, they’ll participate in a fundraiser with a focus on comfort. They will take part in a Mattress Sale this Saturday, March 16, at the the high school’s auditorium on Allen Lane in Louisburg. North Carolina Farm Service Agency (FSA) County Executive Director Lindsay Driver has announced that the North Carolina FSA will conduct a four-week Conservation Reserve Program (CRP) general sign-up, beginning May 20 and ending on June 14. “It continues to be our goal to ensure that we use CRP to address our most critical resource issues” said Driver. 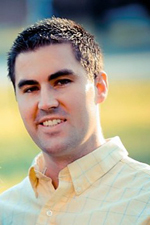 RALEIGH — Local Government Federal Credit Union (LGFCU) has announced the addition of Jordan McMillen to its Northern Triangle Advisory Council. The Triangle Council is made up of Franklin, Granville, Vance and Warren counties. McMillen, who is the planning services director for Vance County, will be an integral part of LGFCU’s volunteer-driven initiative.